Roto molding services produce plastic parts in various colors, shapes, sizes, and textures with features such as multiple walls, molded-in hardware, undercuts and graphics. Roto molding services from Gregstrom produce hollow plastic parts according to precise specifications with low tooling costs and value-added post-mold services. With our rotational molding services, powder or resin is loaded into a hollow mold which then rotates on two axes inside an oven until the inside of the mold is coated uniformly. After the mold is cooled, the hollow plastic part is removed. With its low tooling costs and quick tooling modifications, rotational molding – a process also known as rotomolding or rotocasting – is ideal for prototyping and for both low and higher volume production runs. Tooling for rotational molding ranges from simple two-piece sheet metal molds to multi-piece aluminum molds with articulating features. Rotomolding is flexible enough for projects ranging from small, intricate designs to large, complex parts and assemblies. Many rotomolded shapes are impossible to produce by other methods. Moreover, because there’s no pressure in the rotational molding process, hardware made of various materials can be molded-in for strength and durability. Other plastics molding processes just can’t support molded-in hardware like rotomolding can. Roto molding services also support a wide variety of colors and surface textures. Rotocasting or rotomolding even supports uniform walls without the thinning in the extremities that’s common to other processes. Designers like how Gregstrom can create rotomolded parts with undercuts and multiple walls, too. 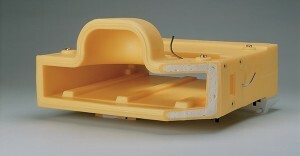 Rotomolded parts can also be filled with polyurethane foam for added strength or insulation. Custom rotomolded parts from Gregstrom can feature Mold In Graphics, a permanent way to mark, decorate, brand, or label your plastic parts. Traditional stickers and labels don’t adhere well to plastic materials, and some require spray adhesives. Mold In Graphics supports permanent labeling, branding, and marking while also providing better resistance to UV, weather, and chemicals. For more examples of our rotomolding services, see the Chemical Feeder and the Heineken Draught Keg Cooler in our Featured Projects. Gregstrom uses Ferry Rotospeed RS-220 and RS2-3300 machines to manufacture your custom rotomolded parts. 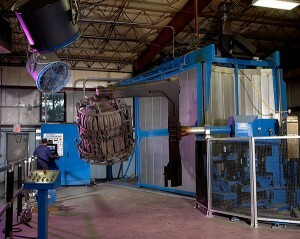 Each machine has offset arms, and the largest machine has up to 125” swing. This means we can rotomold plastic parts in a wide ranges of sizes and shapes from intricate spray manifolds to small boats. Gregstrom’s auxiliary equipment for rotomolding includes a Ribbon/Paddle Blender with a 1000-lb. capacity. Our newest machine, a high-intensity mixer with a capacity of 300 lbs., provides even faster mixing cycles and features an optimized vortex for heat generation and shear to avoid agglomeration of the mix material. This new machine “polishes” the resin, which means more uniform colors, reduced porosity and improved overall physical properties. Gregstrom also has the equipment and expertise to fill your custom rotomolded parts with polyurethane foam, which provides additional rigidity and thermal insulation. Because rotomolded parts (such as coolers) have hollow cavities, their design is optimal for filling with PU foam. For nearly 70 years, Gregstrom Corporation has been forming and molding plastics at our Made in the USA manufacturing facilities in Massachusetts. 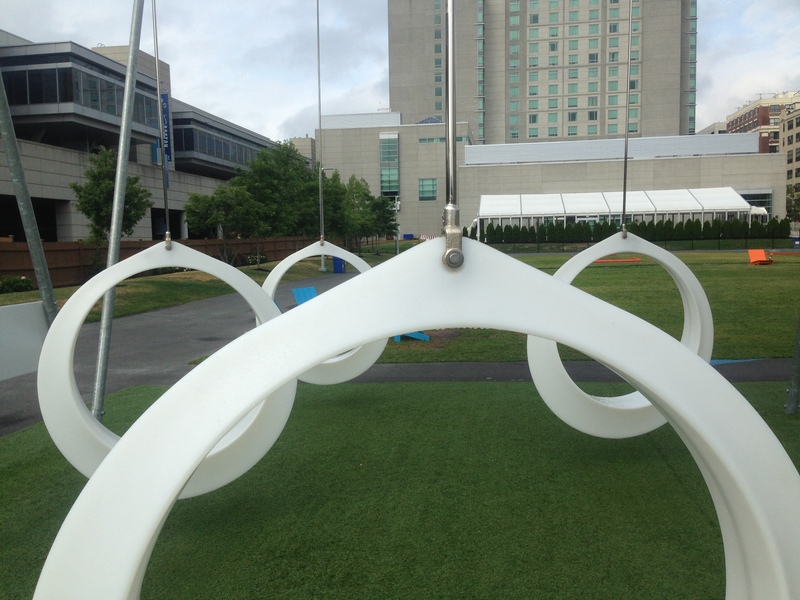 To learn how our roto molding services can support your application, contact us online or call (781) 935-6600.